Recommended with a cold glass of Chardonnay Ravenwood. Recommended with a cold glass of Pinot Grigio Ruffino. Recommended with a cold glass of Sauvignon Blanc Peninsula Ridge. Recommended with a cold glass of Pinot Grigio Inniskillin. Recommended with a glass of Gamay Noir Cave Spring Cellars. Recommended with a cold pint of Coors Light. Recommended with a cold pint of Mill Street Organic Lager. Recommended with a cold glass of Prosecco Ruffino. All Sandwiches, Wraps and Burgers served with choice of Caesar salad, Parlour greens salad, soup du jour, or fries. Recommended with a cold pint of Black Swan IPA. Recommended with a cold pint of Barking Squirrel Amber Ale. Recommended with a cold pint of Black Donnelly's Dark. Recommended with a cold pint of Moosehead Lager. Recommended with a cold pint of Beau's Lug Tread Lager. Recommended with a cold pint of Steam Whistle Lager. Recommended with a glass of Pinot Noir Mark West. Recommended with a cold pint of Guinness. Recommended with a cold glass of Sauvignon Blanc Penninsula Ridge. Recommended with a glass of Cab/Merlot Inniskillin. Recommended with a cold glass of Riesling Dolomite Cave Spring Cellars. Recommended with a cold pint of Cameron’s English Ale. Recommended with a cold pint of Beau’s Lug Tread Lager. All steaks served with accompaniment, seasonal vegetables and choice of potato. Recommended with a glass of Merlot Jackson Triggs. Recommended with a glass of Shiraz Grant Burge Gb56. Recommended with a glass of Cabernet Sauvignon Clos Du Bois. *While supplies last. 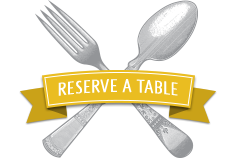 Ask your server for availability.